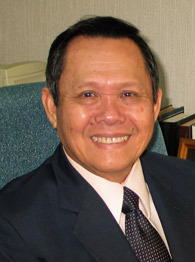 Michael KL Wong was the Managing Partner of the firm for about 10 years until 1991 when he retired as partner and thereafter, became a consultant to the firm until 2010. Among his many appointments, Michael was a member of the Higher Education Advisory Council advising the Minister of Education, a Senator, and a director of Bank Negara, the Central Bank of Malaysia. As a senior previous head of the firm, Michael was bound to have a wealth of experience and knowledge of the firm’s history. Mr. Wong was invited to share his recollections on the firm’s development. This interview took place on 9th April, 2008 with our Mr. Adrian Hii and Ms Goh Siu Lin. When did you join the firm? I joined as a pupil in 1964. The partners then were Tan Teow Bok, Yong Pung How, LP Thean, Robert Hoh, and Lorraine Osman. There were only two legal assistants (lawyers) employed then. The total strength of the firm including staff was about 30. Yong Pung How was the Managing Partner at that time and he was also my pupil master. How would you best describe the firm then? It was a dynamic and progressive practice and very prestigious. Many people aspired to join the firm and the firm attracted the best talents. What were the dominant areas of practice for the firm? These were commercial work including corporate, banking and conveyancing. Litigation was not as big at first. There was no strict division between litigation and non-litigation for the lawyers. We acted for many big corporations both local and foreign. The corporate team was renowned internationally and we acted for many Australian, British and American companies. We also acted for Bank Negara (the Central Bank) and Kuala Lumpur City Hall. The firm obtained referrals from quite a number of embassies. Litigation gained more prominence in the 80’s and 90’s during the economic slowdowns of the time which gave rise to an increase in banking and corporate recovery litigation. Please highlight some of the distinctive achievements of the firm. To start off with, we had some of the top lawyers in the nation. Tan Teow Bok was one the finest draftsmen in the country. In fact, some of the documents drafted by the firm are still being copied and followed in the country today. Yong Pung How was the leading corporate lawyer. A visionary leader, he was largely instrumental in making the firm not only well known locally but also internationally. It was a privilege for me to have apprenticed under him. LP Thean was known for his advocacy and his skill in drafting court pleadings. The firm was the first to do merger and domestication exercises for several foreign companies carrying on business in Malaysia. We helped draft the legislative changes to the Companies Act to accommodate the establishment of the first unit trust in the country. We advised on the establishment of the first discount house in Malaysia. We advised Bank Negara on many matters pertaining to the banking industry. In addition to this, the firm drew up the first comprehensive vesting order for the mergers of financial institutions. We were the first legal firm to summarise the tax proposals contained in the Annual Budgets for circulation to clients. The firm was the first to use the new IBM typewriters and magnetic tape word processors. What was the management structure of the firm like? There was collective decision making by the partners. Apart from regular meetings, there were impromptu meetings allowing for quick and nimble decision making. You have led a busy and packed career. How did you, find the time? Someone once give me these words of wisdom: “Time is created”. Much time spent on unproductive activities can be better utilised. The key is time management. I made time for the other activities at night and during the weekends. Faced with a choice between experience and money, always choose experience. The rewards will soon follow.